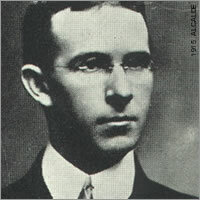 William Longino attended the University of Texas, earning degrees in Latin and Greek in 1903 and 1932. After teaching positions in Marshall and in the Dallas school system, he joined the SHNI faculty in 1908 as a professor of Latin, Spanish and English. Longino died during a college field trip to Mexico. He was the husband of noted campus beautician Grace Longino. One of the Departmental Dorms - Longino Hall - was named in his honor.